another one would be ‘Mother is the name of god on the lips and hearts of all children’ But thats just for the mom in me. And because I grew up with just my mom so it really touched me. The Crow came out in 1994… I was a toddler. I told you all Im in my 20’s. My mom worked all the time so she couldn’t always regulate what we watched on tv. I was never a kid who watched things that normal toddlers watched. My favorite movies as a kid were The crow, Drop Dead Fred, Surf Ninjas and TMNT 2… ( I mean the opening scene… here it is.. I just cant explain how hard I laughed at it. But I am getting off topic…. What does ‘it can’t rain all the time’ mean to me? It means that no matter how bad things seem..they won’t always be that way. 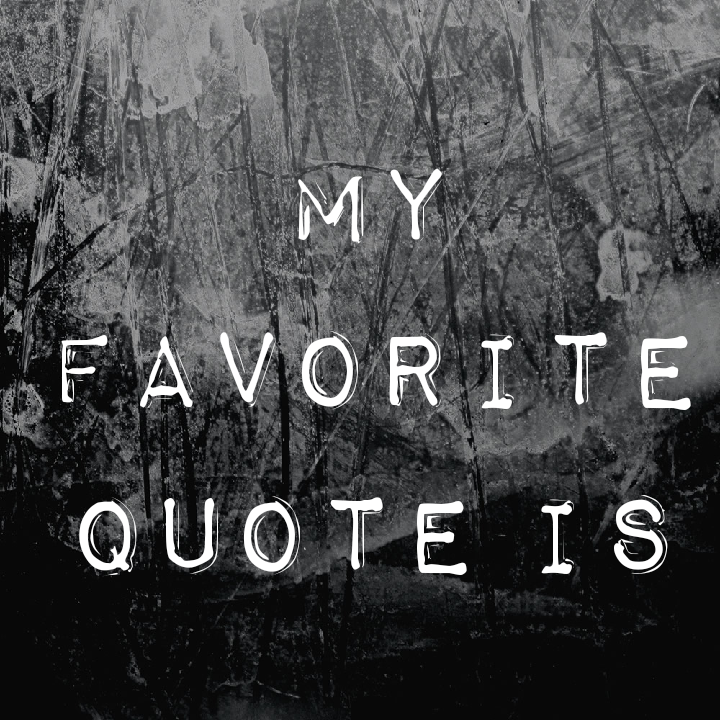 What is your favorite quote? ?